This topic contains 6 replies, has 0 voices, and was last updated by houkouonchi 8 years, 9 months ago. Anyone know how well this can scale? Does this box need two NICs or can it just have a single LINK as it will have more than enough bandwidth for the aggergate. Can I run this on a VM or do I need actual hardware at these speed levels? Z box running zero shell hooked up to two 35/35 or 50/20 connections to the internet. It will setup the VPN connection to bond over these two links to the server I have at the DC which has one big fat pipe. After I have the VPN connection setup I will want to route all internet traffic through the tunnel to basically get one fat 70/70 pipe or 100/40 pipe into my home. Does this sound feasible or does anyone know if zeroshell can scale to connections this high? ZS can do it with these connections. I think that a modern pc with the power of a Pentium4 and 512MB ram will do it just fine. Of course it depends on some aspects such as if you will enable encryption and compression, if you will have iptables rules and if you will apply QoS. I am in a Verizon area (already have one 35/35 and getting the second one installed on Saturday). You can get two connections with Verizon but the second one will need to be a business connection and requires two separate ONT’s at your premises. So far the zeroshell box is working great. I was having some weird issues where from the outside i was seeing 50% packetloss (now and then the connection would just stop responding) but that seems to have been resolved after applying that netbalancer/qos patch and the VPN saw no issues. and in case anyone is curious on my 1.6 Ghz atom box (dual core with hyperthreading so shows as 4CPU’s) uses 40% per process to do VPN traffic for the bond so 80% (of one core) when pushing 70 megabits. It uses about 20% of one core on a modern core 2 quad 2.4 Ghz CPU pushing the same level of traffic which is on the other end. Are there any firewall or QoS rules? That would help us benchmark the forwarding capabilities of ZS. I thought I responded to this but I guess not. There are some firewall rules but that should only add a marginal amount of overhead. 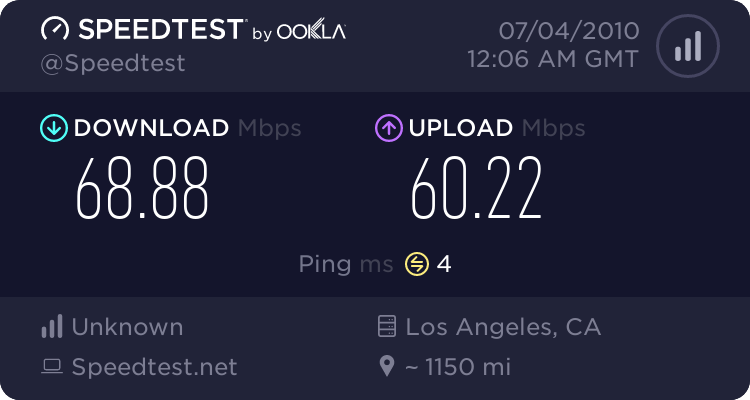 QoS I could see adding quite a bit more but I am not using it as my connection speed is to the point where it is not really even needed that much (things are still pretty fast even when its completely saturated). Also it did take quite a bit of time getting everything setup but I finally got some torrent clients, rrdtool, and php compiled/installed on my zeroshell box. I had some extra trouble due to the fact that when I installed GCC I used a version greater than 4.3 which causes some programs to fail to compile. I use MRTG as well but I like these graphs a bit better (especially the CPU/disk I/O graph).